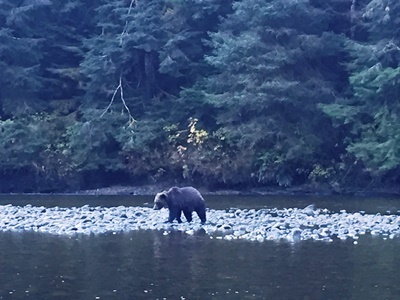 There’s nothing like encountering a grizzly bear catching his salmon breakfast to remind you just how wild Canada’s west really is. A select group of Australian product managers recently got up close and personal with one of the world’s most impressive predators when they ventured beyond Canada’s iconic west-coast attractions on an 11-night tour of British Columbia and the Northwest Territories. Boarding a floatplane in Port Hardy, at the tip of Vancouver Island, the group flew over Queen Charlotte Strait to Great Bear Lodge, a celebrated retreat surrounded by a rainforest that is home to grey wolves, otters, mink and bald eagles. 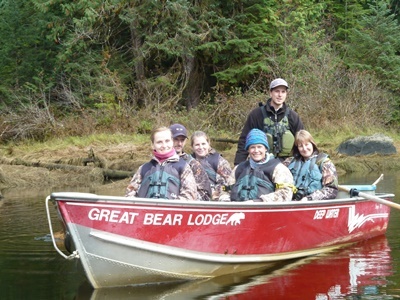 As well as daily treks along rivers and estuaries to watch the bears chasing salmon, the Australians enjoyed interpretive rainforest walks and boat excursions to explore the glacier-carved inlet. 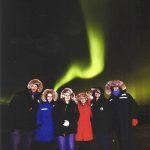 The three-night stay in Great Bear Lodge was just one of the unforgettable experiences enjoyed by the group, which also flew from Vancouver to the Northwest Territories’ capital Yellowknife to view the dazzling Northern Lights, cycle through the snow on fat bikes, fish for northern pike and hike to beautiful Cameron Falls. Destination Canada’s Nathan McLoughlin says the aim was to showcase just some of the unique but less well-known experiences Canada offers Australian travellers. The group flew as guests of Air Canada, and explored Canada as guests of Destination Canada, Destination British Columbia, Northwest Territories Tourism, Tourism Vancouver and Tourism Vancouver Island.